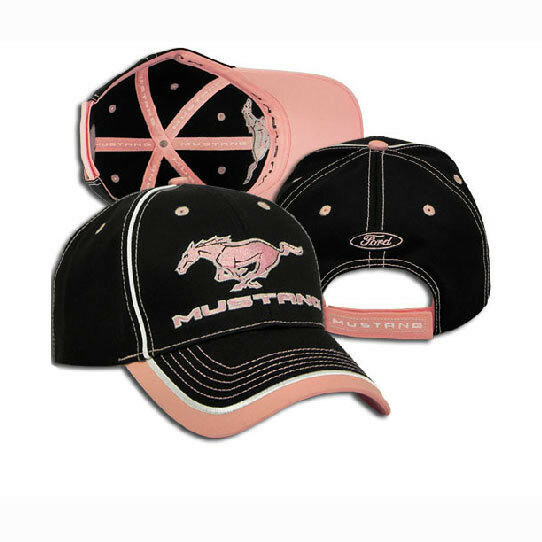 This stylish Mustang Black/Pink Ladies cap is an official licensed product by Ford. The pink pony is embroidered on the front of the cap, along with the word mustang in pink. The cap is velcro adjustable at the back.It also has the word mustang in white on the strap and the ford logo on the back of cap.